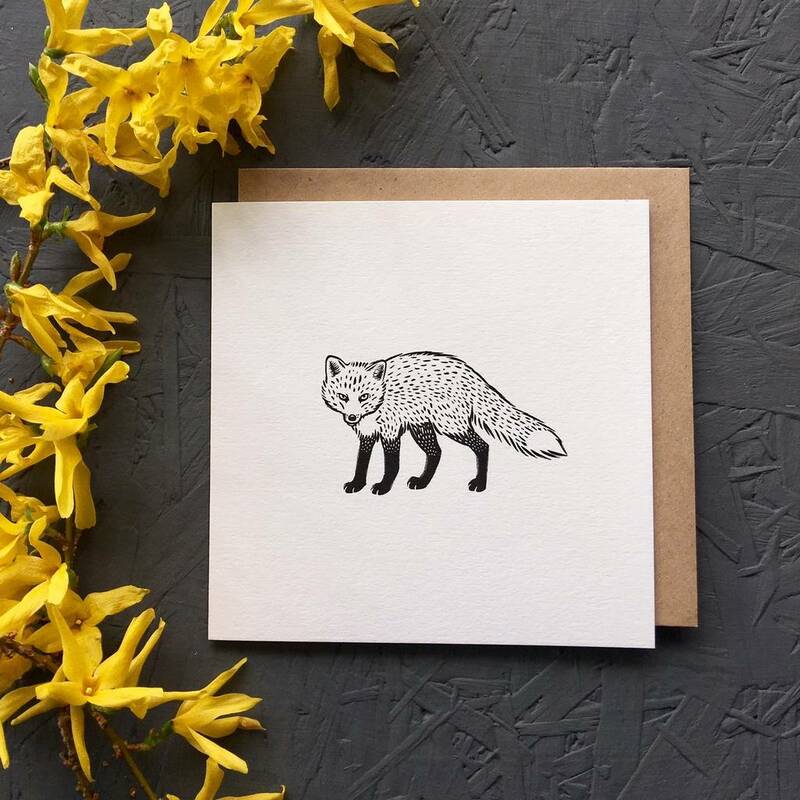 This fantastic fox will be appreciated by lovers of this urban and rural garden visitor. Printed on 300gsm callisto pearl. uncoated card. Cello wrapped with a Kraft brown fleck recycled envelope. Designed, drawn and printed in Kent, UK. We also have a hen, a cockerel, a swallow and an owl in this series of cards. Made from: 300gsm off-white card.